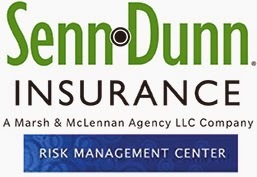 Senn Dunn has a new Risk Management Center (RMC) designed to help companies enhance their resources, improve efficiencies, and provide bottom line results. This risk mitigation program is a secure, web-based platform that will help improve your company’s risk management, loss control and prevention, and OSHA-compliance efforts with core results. The RMC is easy to set-up with software wizards that will walk you through the process. As a web-based platform, it is accessible anywhere and anytime and provides a cost-effective risk management and safety center for your entire organization across all departments and locations. Risk Management Library – Safety resource library containing an extensive variety of training documents, sample policies, and webinars. HR Library – Human Resource reference and resource for all 50 states. COI Track – Manages Certificates of Insurance to help avoid liabilities. Training Track – Conduct, organize and maintain training along with properly documenting completed training activities. SDS Track – Compile and organize Safety Data Sheets and give employees access anywhere they can get internet access. BBS Track – Build your own Job Hazard Analysis and behavior based safety programs, including safety observations. Job Description – Create Job Descriptions and Return to Work Programs.